Tell a stylish story with this flirty and feminine number! Stretchy mini dress features a single shoulder strap, a diagonal neckline, and a fluttery off-shoulder sleeve. 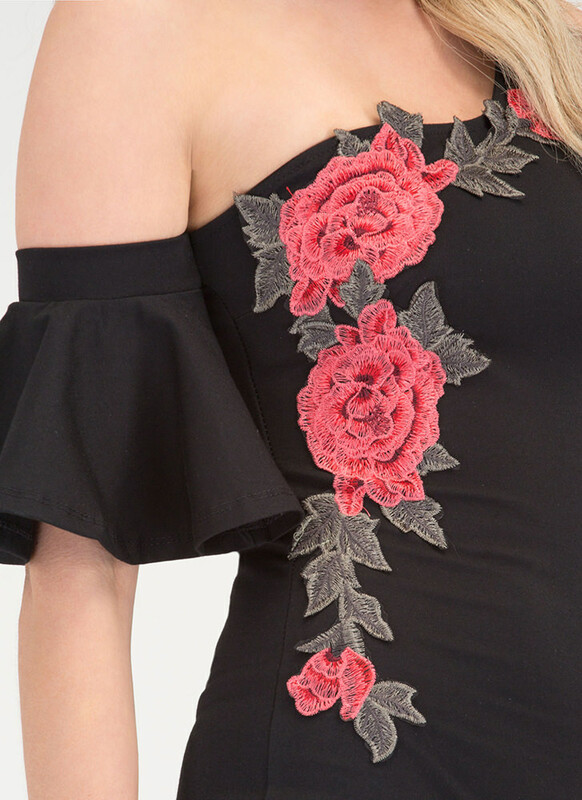 Large, embroidered rose and foliage appliqués decorate the neckline and midriff. No closures included. Pattern placement may vary.